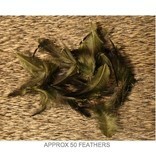 Used for soft hackles such as the Starling and Herl. 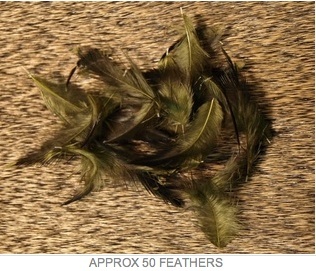 They pluck a variety of feathers off the skin for tying ease. The dyed colors are bleached prior to dying to obtain a more pure color.